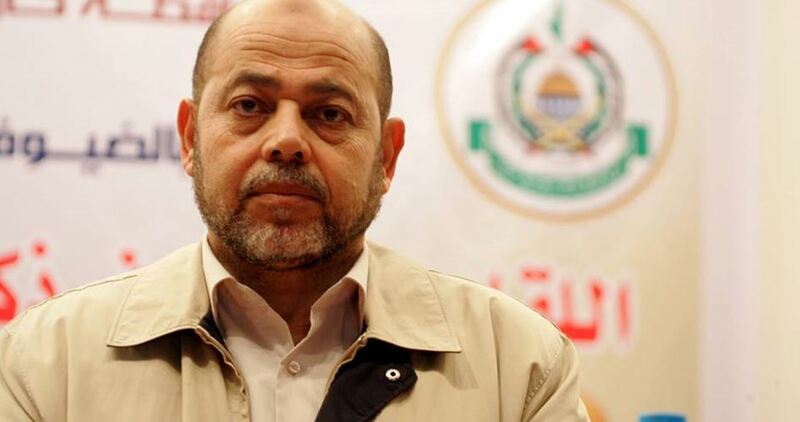 Member of Hamas’s political bureau Mousa Abu Marzouk has called for making calculated decisions in the Palestinian arena in view of the deteriorating health condition of Palestinian Authority president Mahmoud Abbas. “In light of Abbas’s health setback, calculated initiatives and decisions are needed in order for us not to be surprised by something that complicates the national situation and deepens Fatah’s internal rift and grassroots base, which would have an adverse impact on our national cause,” Abu Marzouk stated on his Twitter page on Saturday. The Hamas official also wished Abbas a full and speedy recovery. President Mahmoud Abbas, hospitalized in Ramallah for treatment of a lung infection, is stirring up widespread concern over his overall health since it’s the third time in less than one week that the octogenarian has been taken to hospital. Doctors have not said publicly how long they intend to hold the president at al-Istishari Arab Hospital, but concern has grown exponentially as he has suffered several health complications. 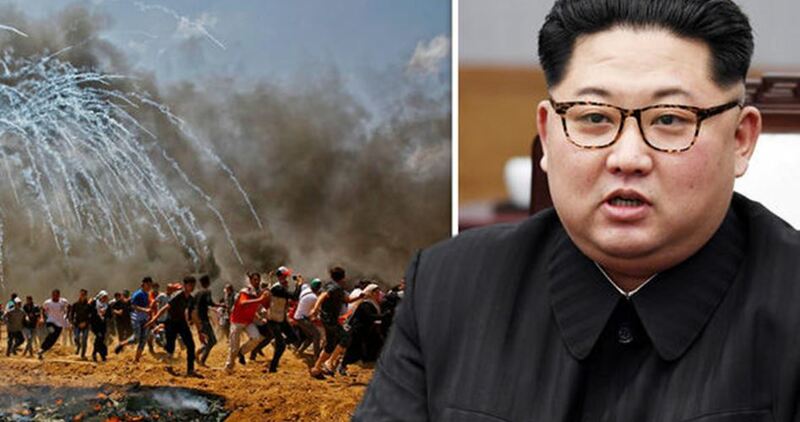 Kim Yong-nam, head of the Presidium of the Supreme People’s Assembly of North Korea, sent a message of sympathy to Palestinian Authority president Mahmoud Abbas, with the state-run Rodong Sinmun newspaper calling Israel’s actions as “bloody suppression”. The newspaper said that Yong-nam in the message expressed deep condolences to the victims and their families. He affirmed North Korea’s unwavering support for and solidarity with the just cause of the Palestinian people and their struggle to build an independent state with east Jerusalem as its capital and obtain their inalienable legitimate rights. North Korea backs Palestine in its dispute with Israel, an occupying power financed and supported by the US regime. When North Korea was largely propped up by the Soviet Union during the Cold War, it regularly sent aid and weapons to Palestine. During the 2014 Gaza war, North Korea also condemned Israel. “They are unpardonable crimes against humanity” the ministry said. 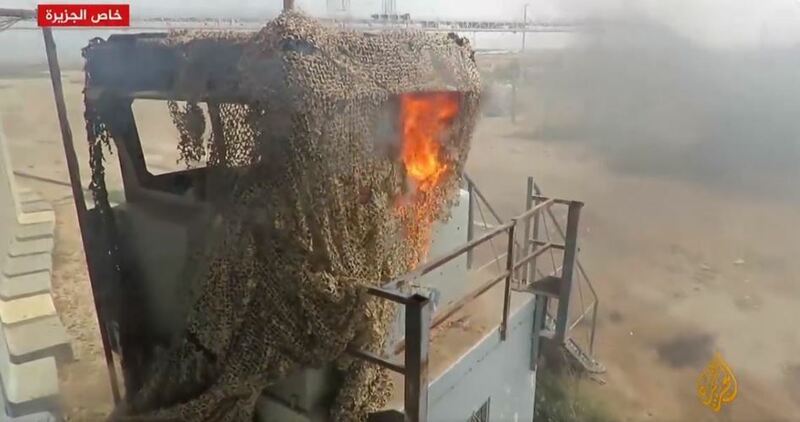 Some Palestinian young men on Saturday afternoon were able to breach the Israeli border fence east of al-Maghazi refugee camp in central Gaza, pitch a plastic tent and set fire to a military post. 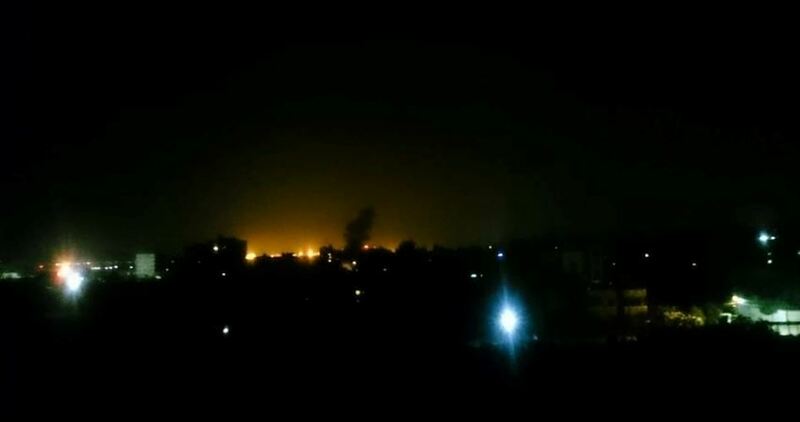 The youths fled back into the Gaza Strip after setting the Israeli army site alight. Eyewitnesses reported seeing Israeli soldiers and vehicles rushing to the place, amid intensive gunfire. The Israeli occupation forces threatened on Sunday to demolish 20 Palestinian homes within a period of 60 days in the village of al-Aqaba, to the east of Tubas, in the Jordan Valley region, in the occupied West Bank. Head of the Aqaba Village Council, Sami Sadeq, said that Israeli army handed notices to the Palestinian locals informing them that the 20 homes, currently uninhabited, would be demolished in 60 days allegedly for lacking construction permits. Sadeq added that the homes slated for demolition have valid construction permits issued by the Construction and Organization Committee of the village. The village is located within Area C, the more than 60 percent of the occupied West Bank land under full Israeli military control. Palestinians in the area are not allowed to build on their own private lands without nearly impossible-to-obtain Israeli-issued building permits. 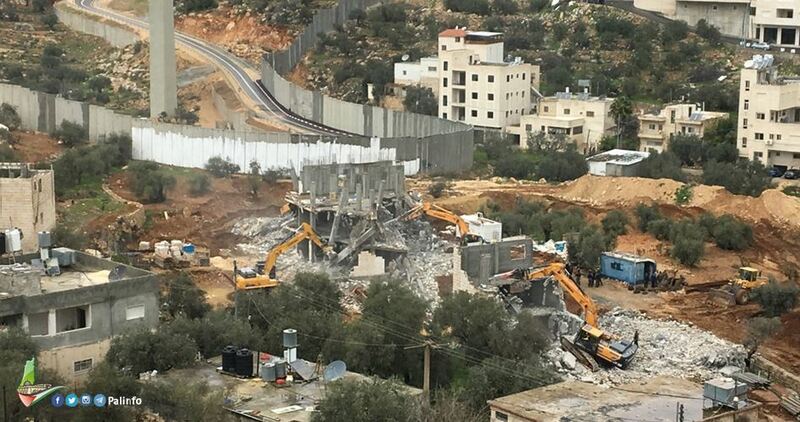 Every year, Israeli occupation forces demolish dozens of residential and non-residential buildings in the occupied Palestinian territories, especially in the Jordan Valley region, on the grounds of lacking a construction permit. The Democratic Front for the Liberation of Palestine (DFLP) on Sunday said that the Israeli repeated aggressions on Gaza are aimed at diverting attention away from the Great Return March. Member of the DFLP Political Bureau Talal Abu Zarifa in a press statement held Israel responsible for the latest escalation in Gaza. “Israel will pay a heavy price if this escalation continues,” Abu Zarifa warned, stressing that the Palestinian people have the right to demonstrate against occupation, settlement, blockade and Donald Trump’s deal of the century which is aimed at liquidating the Palestinian cause. Abu Zarifa called for the formation of an international commission to investigate the ongoing Israeli crimes in the West Bank, Gaza Strip and Jerusalem. Two Palestinian citizens were killed Sunday morning after the Israeli occupation army launched an artillery attack on a resistance site east of Khan Younis in southern Gaza. Mohammad Tamimi, 15-year-old cousin of Palestinian folk hero Ahed Tamimi, is just trying to live his life (with 1/3 of his skull missing), but the Israeli media keep harassing him. It wasn’t enough that they shot him in the head: apparently they want this child behind bars. The unthinkable is absolutely routine in the occupied Palestinian territories. This particular outrage involves a familiar face – that of 15-year-old Mohammad Tamimi. As Mohammad was walking in his village, Nabi Saleh, 4 Israeli agents disguised as Palestinians jumped him, threw him in a car, and drove out of the village. The abduction of a young man, even a minor, is a completely ordinary event in the occupied West Bank of Palestine where, during the last 12 months, Israel has held a minimum of 6,000 prisoners at any given time, 280 or more of whom have been minors. This is scandalous but typical. What makes Mohammad’s kidnapping singularly outrageous is his previous experience with Israeli military. It bears repeating. On 15 December 2017, during the weekly village protest, Mohammad peeked over a wall into an area where Israeli soldiers generally hang out – illegally occupying an empty villa for the purpose of enforcing an illegal occupation – and when they saw his head, they shot at it. From only a few yards away. 14-year-old Mohammad Tamimi spent 4 days in a medically-induced coma after being shot in the face by Israeli forces. Mind you, these would have been heavily armed, bullet-proof vested, combat-helmeted soldiers. They had nothing to fear. Nevertheless, they shot Mohammad. The bullet entered near his nose and lodged in the back of his skull; he was bleeding heavily. A Red Crescent ambulance rushed in. The Israeli soldiers at first refused to let the ambulance leave. Eventually, Mohammad made it to the hospital, where part of his skull had to be removed due to severe inflammation of his brain. Since then, he has been recovering from this life-threatening injury. Moments after the shooting, his cousin Ahed heard the news. 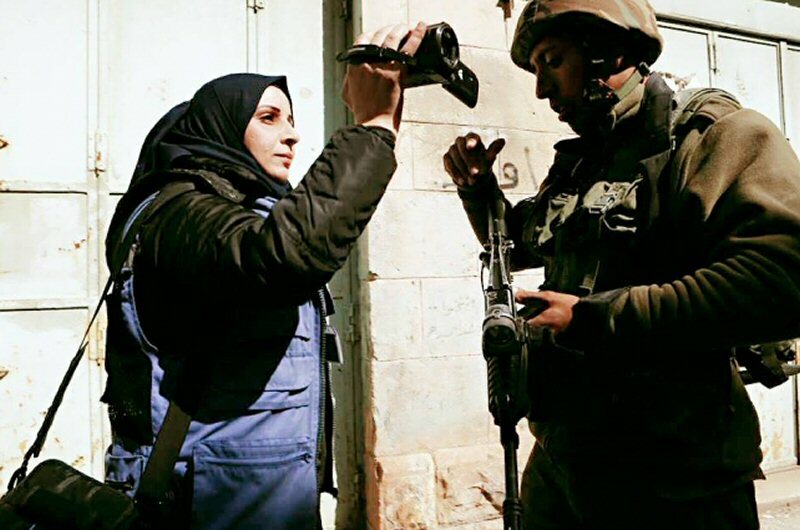 Furious and distraught, she screamed at an IDF soldier loitering on her property and delivered “the slap that was heard around the world.” It was a light slap, but resulted in a midnight home invasion by the IDF and a ride to prison. Ahed was charged with 5 counts of assault: “threatening a soldier, attacking a soldier under aggravated circumstances, interfering with a soldier in carrying out his duties, incitement, and throwing objects at individuals or property.” She is now serving an 8-month sentence. The soldier who had shot her cousin in the face is a free man, likely still carrying a weapon. Fast-forward 2 months, to 26 February. In a midnight raid on the village of Nabi Saleh, Mohammad Tamimi and 9 other Palestinian youths (5 of them, including Mohammad, minors) were arrested for alleged stone-throwing. His parents begged the police to wait a few weeks, till after the surgery to reconstruct his skull. His interrogators were unmoved. They went forward with high pressure questioning (Mohammad asserts that he was beaten) in which he “confessed”that his severe head injury had been self-inflicted, from a bicycle accident. A later statement from COGAT added that “The truth is always our guiding light and we will continue to present the truth in order to expose the Palestinian incitement apparatus.” And so, “bicycle accident” was the truth – until Mohammad’s doctor showed an X-ray of Mohammad’s skull with a bullet lodged inside. How in the world did General Mordechai think he would get away with the coerced bicycle confession, given the high visibility of the events surrounding it? Most news sources, both Israeli and American, had little or nothing to say when the evidence came to light. That’s how Mordechai got away with his audacious fabrication: mainstream news knows how to quit while Israel is ahead. On, then, to current events. Mohammad was abducted again on the morning of 20 May, about 5 months post-shooting, 3 months post-bicycle “confession.” He was held till 11 pm, long after he was supposed to break the Ramadan fast with his family and take his medication. Israeli police denied having detained him; no one had seen the abduction. The family feared he may have fallen and injured himself. The whole village went into search mode. But then as suddenly as he’d disappeared, he was back. His mother, Manal, believes that Israel wants Mohammad imprisoned, but backed down this time because of his condition. “They are waiting for him to get better…They will try in the next two or three months to arrest him again,” she predicted. Mohammad’s father, Fadel, reported that Israeli intelligence had called one of Mohammad’s doctors, informing him that Mohammad would be re-arrested once he recovered. Dawoud Yusef, who works with Palestinian prisoners’ rights group Addameer, explained that the continual detention and release of Palestinians is meant to “make the individual feel that they are never safe from the forces of the occupation.” The use of Israeli agents posing as Palestinians is particularly unnerving. Add to that Israel’s use of surveillance balloons in Nabi Saleh that observe residents and collect intelligence on them 24/7, and one might say that Israel is winning the psychological battle. The fact is, Israel makes itself look bad: when its “moral army” is allowed to shoot children who pose no threat, to use snipersagainst kites and rocks, to kill with impunity. When its government discriminates against people of color, takes food out of the mouths of widows and orphans, persists in breach of international humanitarian law. Israel is managing its negative publicity quite well on its own. In a land where it is somehow okay to arrest a boy recovering from brain surgery, where a slap deserves a life sentence but shooting in the face does not, reputation is the least of their worries. According to Abdul-Ati, Israeli forces twice attacked boats and ships seeking to break the Israeli siege on Gaza in the past two weeks. He called on the Ramallah-based Palestinian Authority to lift “penalties on the Gaza people to boost their steadfastness and ease the humanitarian crisis caused by the blockade”. He also appealed to the international community to pressure Israel to lift the blockade on the Gaza Strip and on international NGOs to provide protection to anti-siege ships. The incident served to cause a political crisis between Turkey and Israel, which ended when the latter agreed to Turkish conditions to normalize ties, including offering apology and compensating families of the victims. Home to nearly two million Palestinians, the Gaza Strip has been reeling under a crippling Israeli blockade since 2006 when Palestinian resistance group Hamas was voted to power in a parliamentary election. Veel van onze broeders en zusters betalen hun jaarlijkse zakaat niet, niet vanwege gierigheid, maar door onwetendheid. In dit bericht gaan we in op één van de soorten bezittingen waar men zakaat over dient te betalen, namelijk het geld. Wie een bedrag bezit boven de nisaab (minimumgrens) is zakaatplichtig. Deze nisaab is de waarde van 85 gram goud of 595 gram zilver. Het beste is om zilver als maatstaf aan te houden, omdat zilver goedkoper is en dat dus in het voordeel van de armen is. Wanneer we bijvoorbeeld kijken op www.goudmarkt.nl/zilverprijs, dan zien we dat de prijs van één gram zilver 0,45 eurocent is. Dit keer 595 is €267,75. Wie een bedrag bezit van €267,75 of hoger is zakaatplichtig. Ongeacht of de persoon die dit bedrag bezit volwassen is of niet en ongeacht of de bezitter van dit bedrag geestelijk gezond is of niet. Wanneer kinderen en of geestelijk gehandicapten geld bezitten en niet in staat zijn om de zakaat zelf uit te geven, dan doet hun voogd, zoals de vader, dit voor hen. Je bent pas zakaatplichtig over het bedrag dat gelijk is aan de nisaab of hoger, wanneer jij een islamitisch jaar (maanjaar) in het bezit bent van dit bedrag. Mocht je op 1 Ramadan 2017 in het bezit komen van een bedrag van €700 (wat boven de eerdergenoemde minimumgrens is), dan begint ‘jouw’ jaar vanaf 1 Ramadan 2017. 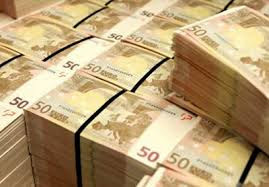 Als dit bedrag boven de nisaab blijft (€267,75) tot 1 Ramadan 2018, dan betaal je 2,5% over het op dat moment aanwezige bedrag. Heb je dus bijvoorbeeld €200 uitgegeven door het jaar heen en heb je €500 over op 1 Ramadan 2018, dan betaal je daar 2,5% over. Mocht dat bedrag op 1 Ramadan 2018 bijvoorbeeld €250 bedragen (wat onder de minimumgrens is) dan hoeft daar geen zakaat over te worden betaald. Wanneer je weer in het bezit komt van een bedrag boven de minimumgrens gaat ‘jouw’ jaar weer in. Zoals is op te maken uit het voorbeeld bedraagt de zakaat 2,5 % van het bedrag dat een jaar lang boven de nisaab is gebleven. Deze 2,5% kan je gemakkelijk berekenen door het bedrag door veertig te delen. Het komt vaak voor dat je verschillende keren in het jaar in het bezit komt van bedragen boven de minimumgrens, zoals je salaris bijvoorbeeld. Dan zou je dus in principe voor elk bedrag (boven de nisaab) moeten bijhouden wanneer een jaar voorbij is gegaan om vervolgens de zakaat te betalen. Het is dan makkelijker om één datum in het jaar aan te houden, zoals vandaag 10 Ramadan bijvoorbeeld, waarop je jouw zakaat betaalt over al het aanwezige geld (uiteraard als het boven de nisaab is). De zakaat die je dan betaalt over bedragen die je nog geen jaar bezit, wordt beschouwd als vooruitbetaalde zakaat en het is toegestaan om jouw zakaat vooruit te betalen. Wanneer je iemand geld hebt geleend en jij dit op elk gewenst moment terug kan krijgen, dan dien je dit uitgeleend bedrag te beschouwen als geld dat in jouw bezit is en daar met de rest van jouw geld zakaat over te betalen. Het uitgeleende geld dat jij niet op elk gewenst moment terug kan krijgen, omdat de schuldenaar het niet heeft of omdat hij het verzuimt terug te geven, betaal je pas zakaat over wanneer je het bedrag terug hebt gehad. Je betaalt dan eenmalig zakaat over het bedrag, ook al is het een schuld van jarenlang. Wanneer je zelf schulden hebt, maar wel aan de bovengenoemde twee voorwaarden van de zakaat voldoet (door een jaar lang in het bezit te zijn van een bedrag gelijk aan of hoger dan de nisaab), dien je ook zakaat te betalen en zijn deze schulden geen vrijstelling. Nadat – hopelijk – duidelijk is geworden hoe de zakaat wordt berekend, rest nog een belangrijk vraagstuk en dat is: aan wie hoor ik mijn zakaat te geven? Dit wordt in shaa Allaah in het komend bericht verduidelijkt. P.S. De zakaat die je aan het einde van de Ramadan uitgeeft, is de zakaat ul-fitr. Dat is een andere verplichting en staat los van de regelgevingen van de zakaat die we in dit bericht hebben behandeld.